One of the key moments in the history of education is the publication, in 1658, of Johann Comenius’s (28 March 1592 – 4 November 1670) Orbis Sensualium Pictus. [a] picture is worth a thousand words. There is so much truth to this old adage that, since the publication of the Orbis Sensualium Pictus, writers and publishers of textbooks, fables, fairy tales, and various other books have made a point of inserting pictures. The concept underlying the importance of illustrations resembles the notion of Affektenlehre (doctrine of the affections) in music, a doctrine of which Johann Mattheson was the chief proponent. In compliance with this doctrine, composers attempted to touch the Affeckte or senses, claiming that music would thereby be morally uplifting. For instance, Haydn used contrast to touch the Affeckte. Comenius’s Janua Linguarum Reserata was an extremely popular textbook. However, Comenius’s first concern was the reform of the educational system, which he described in his Didactica Magna (The Great Didactic). He also advocated universal education. By and large, the reforms he introduced have endured. The path is mostly unchanged. Children still begin their schooling by attending a kindergarten. Pupils then attend elementary and secondary school and, upon successful completion of secondary school, young adults may enter college or a university. Moreover, the path starts with the education of infants. Comenius wrote a book for mothers entitled The School of Infancy. 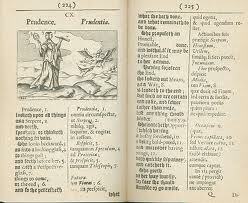 It is because of his books that I have stated that Comenius discovered children or childhood. However, what I want to praise above all is his introduction of illustrations in textbooks and other books. Comenius realized that explaining a subject using words only was ineffective. He therefore stressed the importance of illustrations, or pictures. For instance, in the case of an illustrated fable, it is easier to remember the morality because it is exemplified in two ways: by a text, called exemplum, and by a picture. Other than his Great Didactic, i.e. the system, Comenius’s contribution to education is therefore twofold. With respect to the teaching of a second language, he advocated simplicity and usefulness. He realized that one taught a language by teaching the language and not about the language. As for teaching in general, he advocated the support of illustrations. Drawings, paintings, prints and photographs can be an end in themselves. But illustrations are both an end in themselves and a means to an end. Most of us will gladly accept an unwrapped present, but there is so much pleasure in the traditional unwrapping of a gift. The same is true of illustrations. Just imagine learning about Cupid and Psyche without seeing at least one of the beautiful illustrations inspired by that lovely story. 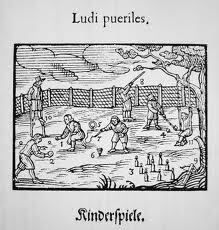 Illustrations existed long before the publication of Orbis Pictus. In fact, they existed long before the invention of the printing-press (c. 1440). They were the illuminations of illuminated manuscripts and very expensive. However, even after the invention of the printing-press, publishing an illustrated book was a long and costly process. Distribution was limited. Only the few had access to books. Before the invention of printing, books were copied by hand and then decorated with illuminations. Illuminations were just what the word says: illuminations. They enlightened the text. Comenius’s books could not possibly be as beautiful as an illustrated Bestiary or Book of Hours, but many copies could be made and they could be made quickly, which means that universal education was a realistic goal. So let us praise Comenius, the senses, and our illustrators.